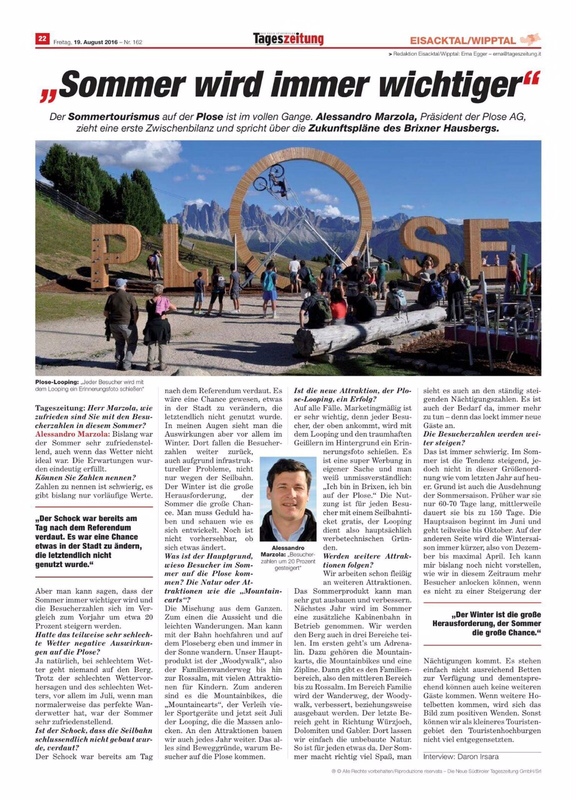 Since August a looping is installed at the mountain station of the Plose in South Tyrol. The guests are invited to ride on a bike and try to cycle a loop. We developed this attraction for Plose Ski AG. It's a frist step in the expansion of the touristic summer offers. Further actions are planned.